This is the first time that a comprehensive study of the Gulf of Mexico, of all the fish in the waters of Mexico, the United States and Cuba has been made. 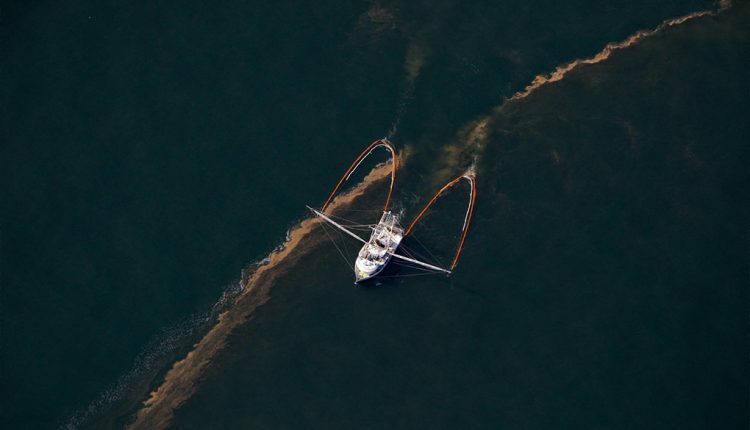 Eight years after the spill of 779 thousand tons of crude oil in the Gulf of Mexico, scientists from Mexico, the United States and Cuba who participated in the study of the ecological impact in the coastal waters of the three countries reported favourable results in the recovery of this oceanic ecosystem. As a result of 12 oceanographic campaigns in the Gulf of Mexico, experts verified the adaptability of fish populations, which took between one and two years to recover from the event. The study involved collecting samples of 15,000 fish of 166 species in 343 localities of the three countries, an unpublished work recently published in the journal “Journal of Marine and Coastal Fisheries” and that the National Autonomous University of Mexico (UNAM) announces it’s a statement. In 2010, the Deepwater Horizon oil platform spilled 779 thousand tons of crude oil in the Gulf of Mexico, contaminating the oceanic ecosystem shared by the waters and coasts of the three countries mentioned. The event, which meant the explosion and sinking of the platform, provoked the immediate reaction of scientists from several nations, who have since worked in the area. After the spill, the explorations began and the work was divided into six main lines of research, in which 16 nations participated. The tripartite team, the United States, Cuba and Mexico, studied patterns of dominant species, differences in abundance and in sizes. This scientific coalition operated under the leadership of the University of South Florida, along with the Texas A & M University-Corpus Christi, the University of Havana and the UNAM. The funds for the study came from the Gulf of Mexico Research Initiative (GoMRI), established after the Deepwater Horizon spill to boost scientific research related to the oil spill and its effect on the ecosystems of the Gulf of Mexico. This is when the Center for Integrated Modeling and Analysis of Gulf Ecosystems (C-IMAGE) is created, which was installed in the USF. C-IMAGE recorded 166 species in 343 locations, using hooks to catch large-sized fish that live near the bottom, especially those that support valuable fisheries. The sampling of 15 thousand fish provided thousands of samples that are processed in laboratories of the consortium. The study presents a map of the Gulf of Mexico that details the distribution of six population groups of fish and the main affectations. Adolfo Gracia emphasized the importance of scientific collaboration, in such a way that the synergy in the three countries allows comprehensive understanding with important results.